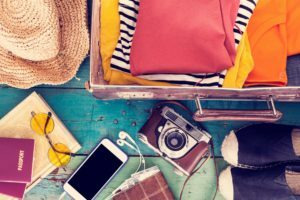 You might want to remember these 13 surprising and strange laws next time you’re traveling to avoid embarrassment, fines, or worse! Culture clashes can occur anytime you travel, but every once in a while they happen in some truly unexpected ways. From a harmless hug to lighting up a cigarette outdoors, these are the strange travel faux pas any globetrotter would do best to avoid. 1. Have you had any troubles in your travels? What are the things you are most careful about when you go on a trip? d. It’s illegal to feed pigeons on the streets of San Francisco. e. Public observance of any religion other than Islam is prohibited in Maldives. f. In Kazakhstan, photography in and around the airport is illegal. g. Marijuana is outlawed in Jamaica. h. In France, drivers are legally required to carry a portable Breathalyzer in their vehicle. i. Public displays of affection—kissing, hugging, holding hands—should be avoided while traveling in the United Arab Emirates. j. Smoking and chewing gums laws are more severe in Singapore. k. Publicly dropping off pants (for fun or whatever) is a chargeable offense in Greece. l. In Barcelona, it’s against the law to wear swimming attire on public streets. m. According to Canada’s Currency Act, stores can legally refuse excessive amounts of coins.